Here at Panoramic, we are a Kitemark certified provider of high security uPVC doors throughout Clifton. Our uPVC doors can be used for many different purposes, from a front door to a back door or even in a conservatory. We as a company pride ourselves on providing our loyal customers with top of the range products in Clifton and the surrounding areas. Our uPVC doors have warp-free weather resistance coupled with beautiful aesthetics without compromising on security systems. Our doors are also thermally efficient leaving you with peace of mind knowing your house is fully protecting from the elements as well as unwanted intruders. Each of our uPVC doors is specially designed and thoroughly tested to withstand all the extreme weather conditions that Britain is infamous for. Whatever the weather conditions, our doors will keep your home safe and secure. Our dedication to quality has led us to achieve a BSI Kitemark certification. This raises us above our competition as a supplier that only offers the best products to their customers. We are also aware that home security is a top priority for not only you but for us as well. That is why we manufacture our doors with you in mind. We’re conscious that not only do you want to keep out harsh weather conditions, you will want to keep out uninvited guests too. Our uPVC doors are some of the safest on the market. We install all our doors with high quality locking mechanisms as well as the toughest materials. The Secured by Design initiative has also awarded some of our high end doors with their accreditation. They are a public standard provided by the UK Police Force that officially licenses our uPVC doors as some of the safest designs on the market. We have gained a brilliant reputation by providing only the best products for over 40 years in Clifton and the surrounding areas. To hear more about our range of stunning uPVC Doors, read below and get in contact with us today to discuss what we can offer you. Having a front door made from uPVC can ensure that your home is safe and secure. Our residential uPVC doors are available with a wide range of designs and finishes to suit your style. Here at Panoramic, we understand that it is important that your home feels secure while also not down grading the aesthetic appeal of the exterior of your Clifton property. We strive to make your house, a home. Customise your entrance door by choosing from a selection of knockers, handles, letter boxes and bells to make sure your uPVC door truly reflects your personality. With strong multi-locking systems in place, galvanised steel reinforcement and a mixture of corrosion resistant fixings, you can peace of mind knowing that you are investing in style as well as home security. French uPVC doors add a European elegance that is eye catching and beautiful. They let natural light flood into your home or work perfectly at partitioning two rooms within your home. 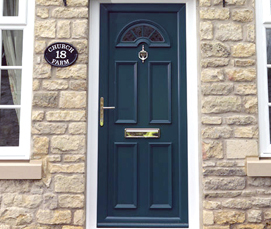 As with many of our other doors, we offer a vast range of colour and finishes options that can be tailor to match your home and your personality. Once open, your French doors allow you to fully appreciate the expanse of your installation. If leading to your garden, they will let air to freely circulate throughout your room and connect the indoors with the outdoors. Practical and stylish, French doors are always a stunning feature to have installed into any property. If you’re searching for a modern stylish edge to add to your Clifton home, look no further than bi-fold uPVC doors from Panoramic. Our Bifold doors are manufactured with state-of-the-art production techniques and technology. Another great design in which you can connect your living space with the outside world as up to a whole wall can be pulled away and replaced with bi-folding panels. As we guarantee quality, we assure full sash stability, weather resistance and internally beaded products. 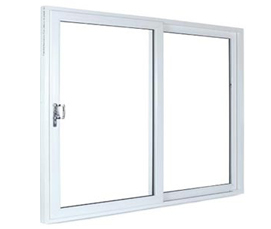 Another easily accessible and stunning door we have on offer is that of a uPVC patio door. This design will brighten up any room. These doors have the full Secured by Design accreditation by the UK Police which ensures that these are one of the most secure doors available on the UK market. 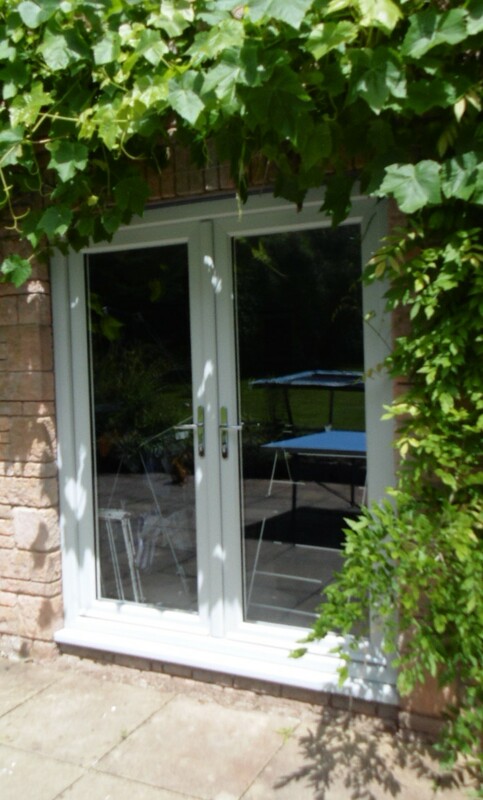 These patio doors have features such as patented interlock protectors and an exclusive six-point pincer action lock assuring you that you have full security with this installation. If you’ re looking for more information on our uPVC door range, call us today on 01179 560321 to get a quote or email us using our online contact form. You can also drop us a message via our online contact form and we will get back to you as soon as possible. Alternatively, use our online quoting engine to get a quick quote in minutes! It’s simple to use. All you need to do is insert a few dimension details into the engine and we’ll provide you with a quote.